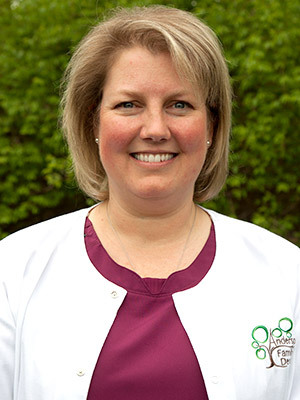 Dr. Todd has been working in dentistry for 15 years, and she loves the sense of community in her work and the wonderful relationships she’s built over time. Originally from right here in Gahanna, she attended Miami University before completing her doctorate at the University of Kentucky. Dr. Todd and her husband JT have a daughter and a son. In her free time, she enjoys skiing, reading, and spending time around horses. She also has a strong interest in Prader-Willi Syndrome, which her daughter has. Something interesting about Dr. Todd is that she actually lived in Sweden as an exchange student before attending college!